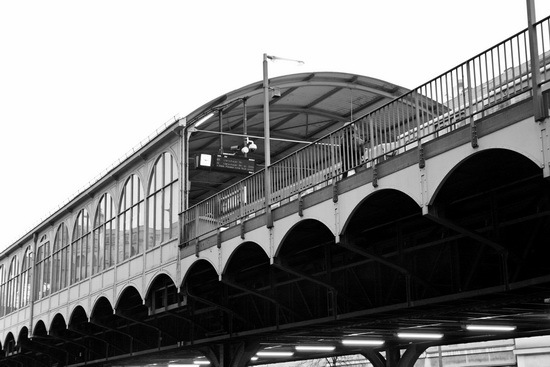 In Kreuzberg, the U-Bahn is actually above street level, running on huge steel viaducts through the street. 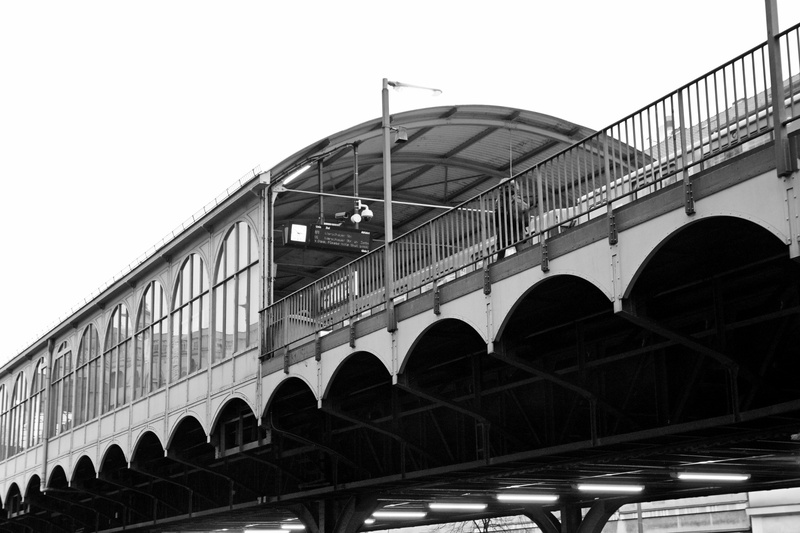 This is the Görlitzer Bahnhof station, named after the train station that was once nearby. 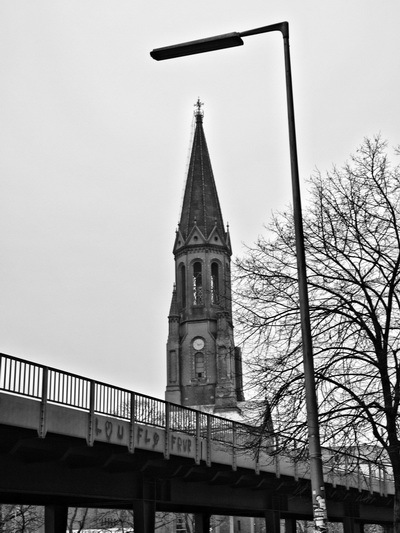 I just had to get the church and the streetlamp into one shot!